Yesterday was a typical Southern California day, and by that I mean absolutely beautiful. The weather was pleasantly warm, the sky was blue and cloudless, and there was only a slight breeze. 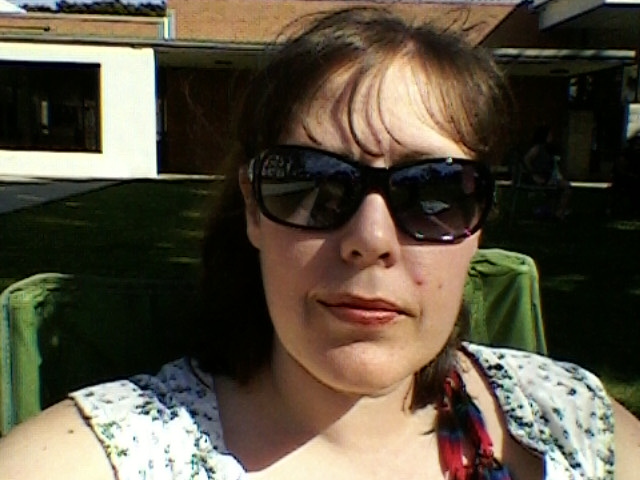 It was a perfect day to be outside, and outside I was. 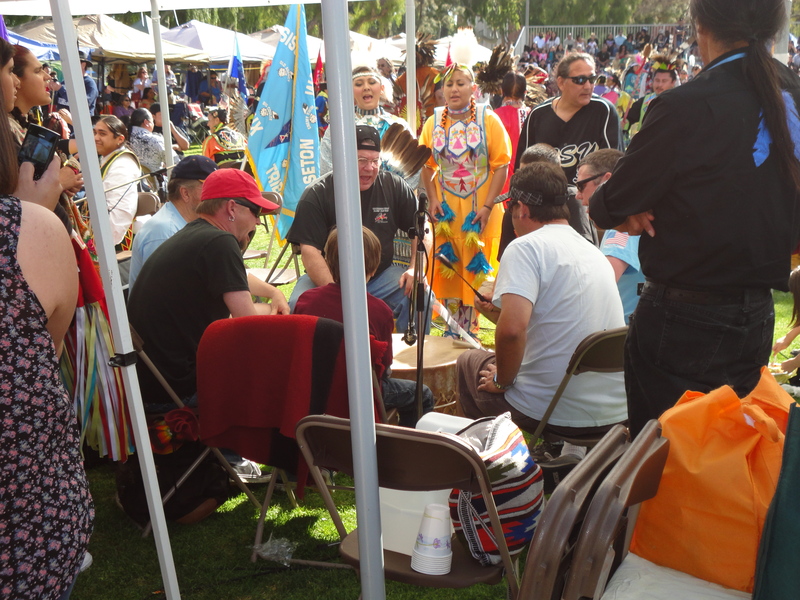 I was excited to be going to the Annual Long Beach Pow Wow as I look forward to it every year, and this year was no different. So as we parked the car and got sun-screened up, I waited a little impatiently for everything to get organized so we could be on our way. As we wound through the maze that is Cal State Long Beach (to those that are unfamiliar, like me), I listened for the sound of the drums to help guide our way. Following the crowd of people worked too, and soon in front of us were the tents that proudly displayed the wares sold within. I jokingly tell everyone that I go for the frybread, and as much as I love my Indian Tacos, that is not the sole reason that I attend every year. Growing up, my parents were proud of my heritage and made sure that I knew what it was. Being half Native American, they always took me to every exhibit that displayed the art or their pottery, their customs, their way of life. Being adopted, we didn’t know what tribe I was from, but Dad was pretty sure I was either Cherokee or Sioux, and he was right. Cherokee I turned out to be. So I was raised to be proud of what I am, and they introduced as much of the history and culture of the Native Americans as they possibly could, so going to a Pow Wow is a way I can continue to surround myself with my culture, with my history. Not being raised in it, I am still separate from it all and I see everything with an outsiders perspective, but being raised knowing that I am one of them, I still feel a sense of pride whenever I am surrounded by the traditional clothing of the tribes and the sounds of voices raised together with the beating of the drum. I spent a good amount of our time at the Pow Wow sitting on the grass and just listening to the music coming from the center. It is my favorite way to experience the traditional music, letting my mind wander while I sit in the sunlight, sometimes with my eyes closed as I lie on the grass, or with my eyes open as I watch the people from a slight distance. The beating of the drum is comforting, its rhythm almost hypnotic and it lulls me into a feeling of peace and safety, and it usually brings images of men and women dancing around a fire during some night time ceremony, wearing the feathers or the fur of the animal spirit being honored that night as sparks sail up into the moonlight, taking with them the prayers and thanks of the tribe that evening. Prayers for the attributes of that animal, or thanks for the life that they gave to feed the people. As the boys played with the other children at the Pow Wow, climbing trees or just running around on the grass, I ventured to the circle to watch the dancers. Some were very active, and these are my favorite to watch. Others were doing the more traditional touch-step, touch-step as they made their way around the circle. The traditional ceremonial clothing is striking, some with wild colors and others more natural. The circle contained people of all ages, some in traditional outfits and some in everyday wear. Grandmothers walked with their children, grandchildren, their great-grandchildren, children walked with their siblings or friends. Infants were carried. No one is too young or too old to participate in this tradition honoring the ways of their people. It was a wonderful day. A day for family, a day for tradition, a day for history, and a day for play. We left that day full on Indian Tacos, warm from a day in the sun, and our bones tired from playing with new friends (yes, I played too). This entry was posted in Uncategorized and tagged Cherokee, CSULB, Long Beach California, Native American, Pow Wow, Tradition. Bookmark the permalink.